Jabo Ibehre looks likely to return to the starting line-up after coming off the bench in last week's loss at Plymouth, while George Waring is also ready to step up. 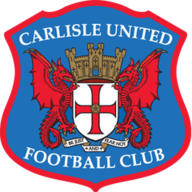 Curle's options are hampered by the continued absence of top scorer Jason Kennedy (groin) and fellow striker Shaun Miller (knee). Meanwhile, Curle is also still without defender Michael Raynes, who has a calf injury. 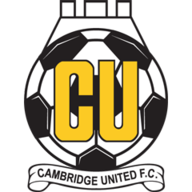 Cambridge striker Barry Corr is out for at least another week with a groin injury. The Irishman only recently returned from a serious knee problem and will not be rushed back from his latest setback. Brad Halliday is back in the matchday squad alongside Greg Taylor and Medy Elito, who have recovered from recent injuries to return to the squad in recent weeks. Uche Ikpeazu (hamstring), Josh Coulson (ankle) and Adam McGurk (thigh) are long-term absentees.